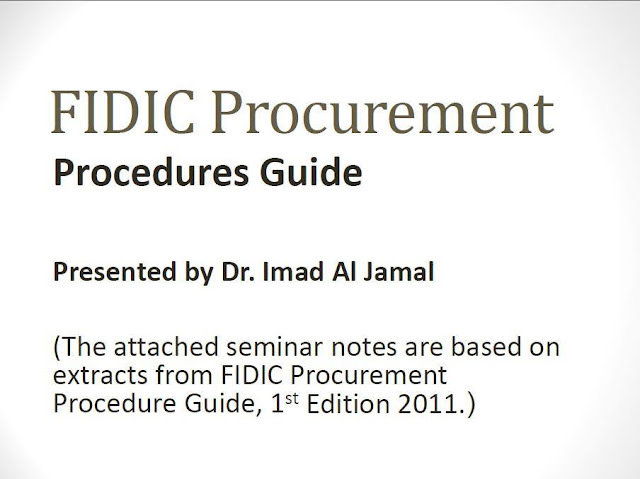 The International Federation of Consulting Engineers (FIDIC) published the First Edition of Tendering Procedure in 1982. This dealt primarily with procedures for awarding civil engineering contracts. Procurement’ means the processes from identification of a project up to receipt of tenders and award of contracts for its implementation, i.e., up to the point of commitment to start the design and/or manufacture and/or construction, as the case may be.